Whether you're travelling to the other side of the globe or interstate, a Sydney travel agent with ATAS accreditation will have the tools, technology and training to deliver the ideal travel experience. Whilst it's common for prospective travellers to consult a travel agent for complicated international itineraries, those travelling closer to home might be less inclined to do the same. And yet, if you're planning a trip within your home state of New South Wales, for example, an ATAS accredited Sydney travel agent is equipped to provide precisely the same level of service you'd expect when heading abroad, bolstered by valuable local knowledge. Use a Sydney travel agent. Save time and hassle. Planning a holiday can be a time consuming and often confusing exercise. With so many travel deals and offers available at your fingertips from all kinds of sources, you can quickly find yourself down deep rabbit holes of irrelevant information. Blogs, reviews, deals that seem too good to be true, Pinterest boards, Instagram stories and Facebook Groups that try to be helpful but leave you more confused about visas, hotel room configurations and value than you were before you posted your question to the helpful group in the first place. It all can be a bit overwhelming and, frankly, a bit baffling. There is another option: let a trusted professional Sydney ATAS travel agent join you in the driver’s seat and help you plan the perfect journey. Whether you need just a little help with a few details, or barely know where you’re going, your ATAS accredited Sydney travel agent will be the experience, tools and connections to really bring your holiday plans to life. A Sydney ATAS travel agent is your personal travel adviser, your doorman, your butler and concierge all rolled into one. No matter if you’re travelling abroad or just around the corner, planning a complex itinerary can be stressful along with venturing into the unknown of a new destination. A Sydney ATAS travel agent provides you with the peace of mind, guiding you from start to finish and providing 24/7 support should you need help whilst your away. With a Sydney ATAS accredited travel agent in your corner, you won’t miss a beat. Booking with a Sydney ATAS travel agent means you have the assurance that your travel plans are with a reputable, professional Australian business that has met a set of strict industry criteria. Only Australia’s best travel agents bear the ATAS symbol. Whether you’re planning a simple weekend away or the round-the-world trip of a lifetime, consult with a Sydney ATAS travel agent and save yourself time and hassle, and travel with a professional in your corner. No travel agent has been absolutely everywhere and done everything. However, many ATAS accredited Sydney travel agents do specialise in particular destinations or travel niches like wildlife safaris, ecotourism, photography, history and battlefield tours, education travel, snow & skiing or gourmet food-and-wine adventures. Likewise, many are experts in particular regions and destinations that they’re passionate about and have visited frequently. So when you walk into a local Sydney travel agency, you’ll very likely find a brains-trust of valuable travel wisdom, insights and expertise. When you sit down with one, you can tap into the collective experience of the team. ATAS travel agents live and breathe travel. Aside from sending many Aussie travellers abroad to fulfil bucket list and wish list experiences, they love to travel and immerse themselves in the latest emerging destination or must-do experiences. With first-hand experience, they connect personally with tourism operators and suppliers, putting hotels, airlines, cruise lines and tour companies to the test. These insights can be priceless when it comes to planning your own holiday or travels. Finding the right travel agent to suit your travel needs is like finding your perfect hairdresser, accountant or doctor —it’s a trial process. Finding an agent that understands the way you want to travel and the types of experiences you’re looking for takes time, like any relationship. Don’t be afraid to ask questions, seek a second opinion or find alternative options if it doesn’t feel right. Whether you're heading to Balmoral or Balmain, Parramatta or Pyrmont, Maroubra or Manly, a local Sydney travel agent can inspire, advise and take the hassle out of planning it all yourself. Not only that, an agent’s insider-tips and local knowledge can make the difference between a mediocre visit and a rich, personalised exploration of one of the world’s great cities. Becoming an ATAS-accredited travel agent is no mean feat. Sydney travel agents with ATAS accreditation have successfully completed a challenging application process with the strictest criteria that ensures only the very best Sydney travel agents carry ATAS credentials. ATAS accredited Sydney travel agents are required to conduct their business to the highest standards of Australian Consumer Law and in accordance with the ATAS Charter and Code of Conduct. ATAS accredited travel agents are experts in their field with access to a near-endless range of dependable, great value travel products and experiences across Australia and the world. They hold tight relationships and partnerships with the most reliable travel operators who regularly extend special offers and VIP perks for their clients. Sydney travel agents provide you with friendly, efficient service and expertise from start to finish. ATAS accredited travel agents love to travel. Like you, as they travel, they collect experience, knowledge and insights into people and places far and wide. They share that knowledge with their clients which, when combined with leading-edge travel technology and a pipeline of deals, perks and upgrades from their favourite airlines, hotels and cruise lines, makes for a pretty handy mix. Even if you’re just booking a Bridgeclimb for relatives from out-of-town, or a Captain Cook Cruise on Sydney Harbour, you’ll find your Sydney travel agent full of advice on how to make the most of the experience. Perhaps you’re thinking of a cheeky overnight stay in a harbour side hotel with theatre tickets or an after-dark dive into Sydney during Vivid. Either way, you’ll find a Sydney travel agent has the tools and deals to bring it to life and save you money and time along the way. With your tailored Sydney holiday plans in the safe hands of an ATAS accredited travel agent, you'll know you’re backed by a professional, trusted travel expert. And if something unexpected takes the wind out of your sails as you travel, your ATAS accredited travel agent will be in your corner with a work-around or solution to get you on your way again and make the most of your precious down-time. Sydney’s beaches really are the envy of the world. Depending on where you’re from, you might know dozens of them reasonably well, or just a handful of household names like Bondi, Manly and Palm Beach. But from Barrenjoey Headland in the north, to Cronulla in Sydney’s south, there’s a ribbon of coastal beaches and bays with names like Bungan, Bilgola, Dee Why, Tamarama and Little Bay, each with their own charms and secrets. Your Sydney travel agent will, inevitably have his or her own favourite. Sydney’s inner harbour beaches waterways are just as diverse and worth seeking out. Head for Balmoral, Clifton Gardens, Cobblers Bay and Clontarf in Middle Harbour and you’ll find delightful oases from the rush and rumble of the city. There’s loads to do in and around these suburban sandy expanses—just ask your Sydney travel agent. Bondi might be the biggest beach name in Sydney’s eastern suburbs. The coastal walk from Bondi to Bronte swells with visitors each Spring as the city’s famous Sculpture by the Sea takes up residence. But there’s much more here than just Bondi and Bronte. Make your way to the harbour side suburbs of Rose Bay, Vaucluse, Watson’s Bay and Double Bay, for example, and you’ll find beautiful sandy stretches with astonishing views of the city skyline. Some of them are a bit out of the way, but your Sydney travel agent can help you seek them out. As a global city, Sydney’s resident population comes from just about every nook and cranny on the planet. And that means food! With ethnic communities all over the city, Sydney’s food landscape is mouth-wateringly delicious—much more diverse than just Haymarket’s Chinatown and Leichhardt’s little Italy. Sydney travel agents live and breathe this dining diversity, and the gourmands among them will have a good handle on the city’s finest diners and cheap eats. Ask your Sydney travel agent about lunch or dinner cruises on Sydney Harbour, suburban food discovery tours and gourmet adventures, as well as trips to Sydney’s famous Fish Market and best dining precincts. And while you’re at it, why not ask them where their favourite restaurant is? For many visitors, Sydney isn’t just a brilliant destination in its own right—it’s a gateway to a host of fascinating regions north, south and west. Many of these places will be well-known to locals as ideal weekend-away destinations, just a few hours drive from home—the Blue Mountains, the Central Coast and Newcastle, and Wollongong, for example. A local Sydney travel agent can help you plan the perfect short break anywhere from Katoomba to Kiama and beyond. Their expertise isn’t limited to far shores and distant lands. As professional ATAS accredited travel agents, they’re always exploring and experiencing places as visitors would, even at home. 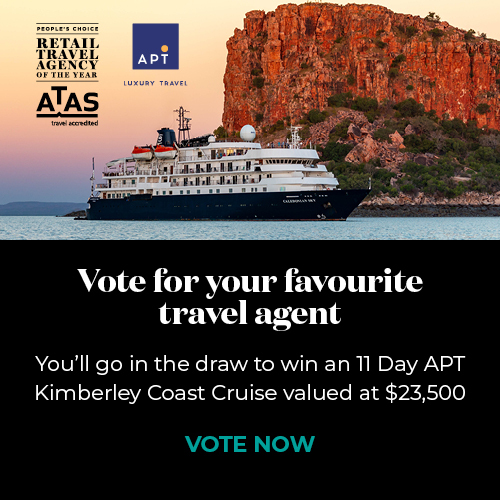 Get to know your local ATAS accredited Sydney travel agents, or connect with a home-based or mobile travel agent who can come to you at your convenience and put them to the test, ask questions and build the kind of relationship you have with your hairdresser or favourite service provider. It could lead to a lifetime of brilliant, personalised holidays and travel experiences.